chiropractic care & in the art of correcting spinal dysfunction. injuries, auto injuries and routine neuromusculoskeletal complaints. treatment approach to relieve musculoskeletal pain for many. Are you suffering in pain from a pinched nerve in your neck or back?Or have you been told that you have sciatica pain? This excruciating ailment can be treated by Dr. Goodkin at the Fort Lauderdale Spine Center. This is what we do! Treating pinched nerves can be done with chiropractic therapy. Pinched nerves usually are caused either by a bulging disc, a herniated disc, a joint that is pressing on the nerve, or tight muscles. Treatments by a chiropractor, such as Dr. Goodkin, will relieve pressure off the nerve and offer relief from pinched nerve pain. In case you are unaware, a pinched nerve in the neck can cause the pain to radiate down the arm, or one in the low back may radiate into the leg. The pain does not have to be localized. Call Dr. Goodkin TODAY at 954-202-9009 to start relieving your pain. Do you have difficulty walking, standing or even sitting due to constant pain in your lower back? 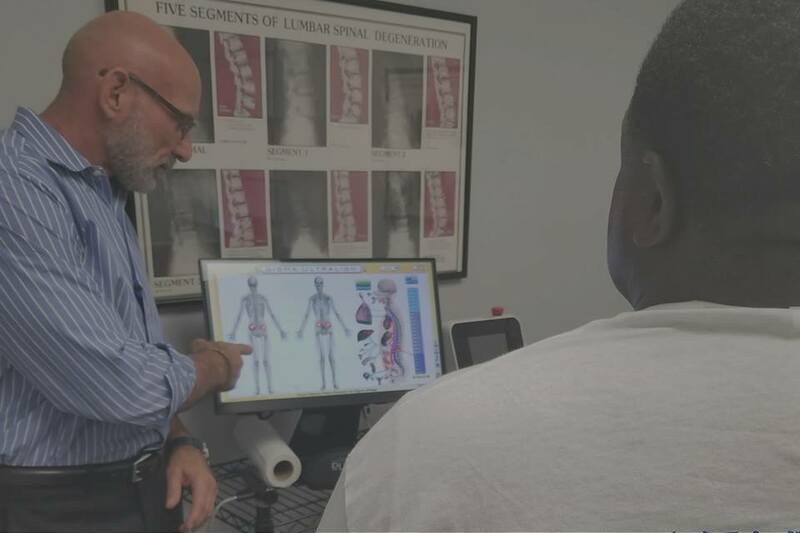 Contact Dr. Goodkin at the Fort Lauderdale Spine Center today. Your body rests on the frame of your back and spine. When it is out of balance, other problems develop in other parts of your body, including headaches, neck aches, tingling or numbness in the arms and legs etc. Call Dr. Goodkin TODAY at 954-202-9009 to start relieving your pain. Sciatica affects the large nerve that extends from the lower back down the back of each leg. It usually affects only one side of the lower body and the pain travels from the lower back all the way through the back of the thigh and down through the leg. Sometimes, the pain reaches the foot or toe and can be quite severe. For some people however it can be infrequent and irritating, but can worsen over time. Call Dr. Goodkin TODAY at 954-202-9009 to start relieving your sciatica pain. Dr. Goodkin has been treating patients for over 18 years. Whether you were injured enjoying your favorite sport, doing yard work, in an automobile accident, or having a chronic condition, it’s likely we can quickly get you back doing the things you enjoy. We see patients of all ages, from kids to those who are a bit more “experienced”. Professional athletes regularly come to the office so they can get back to competition fast. We also specialize in pre and post surgery rehab. The best surgery in the world will not be a great success without proper therapy and rehab. Obviously we work with spinal cases but we also treat and rehab injuries involving the shoulders, knees, elbows, wrists, ankles, plantar facitis, tmj issues, and any other common joint ailment. 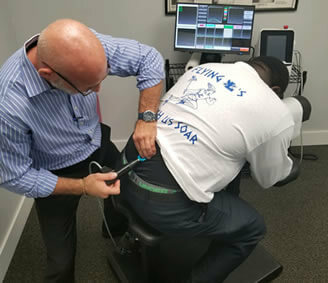 Interestingly enough, chiropractors from all over South Florida come to the office to be seen and treated by Dr. Goodkin. Give us a call, our helpful staff is eager to get you pain free. The Ultralign System is a game changer in the field of chiropractic and in the art of correcting spinal dysfunction. Finally, technology has successfully married with the chiropractic adjustment. 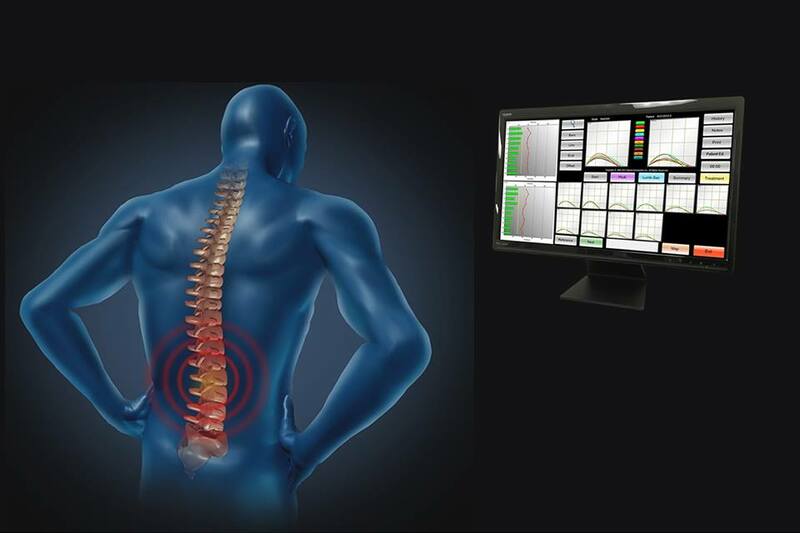 The Ultralign Spinal Care Technology incorporates using computerized instrumentation that isolates normal versus abnormal movement in the spine. Even a minor car accident can have major health implications. When two very heavy objects collide, even at slow speeds, the amount of force generated is huge. The weakest link will always take the most punishment, and in a car crash, the driver and passenger are often the weakest link. Injury from athletics doesn’t have to keep you from enjoying your favorite activities. Chiropractic treatment and conservative therapy will help in correcting your stiff neck, pinched nerves, sore low back, shoulder, knee, elbow, ankle pain are all successfully managed in this office. Massage therapy offers a natural conservative treatment approach that relieves musculoskeletal pain for many patients. Our office provides specific massage and muscular therapy that is tailored to meet the patient’s condition and injury. 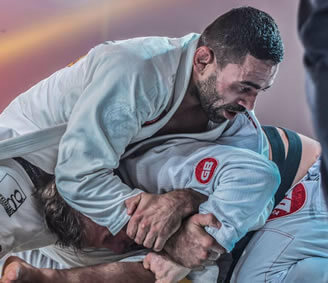 From white belts who may have overdone it for the first time to the professional fighter who is battling injury a month from competition, you owe it to yourself to see the professional who understands the importance of quick recovery. I have the experience, knowledge, state of the art equipment & proven results with fighters who compete at the highest possible levels. Visit our clinic to request your Free Consultation or fill the form & we will respond to it promptly. I have been a patient of Dr. Goodkin for over 2 years now. The doctor and his team have become an important part of my pain management. With their consistent approach to wellness, I have gained many benefits from my treatments. From the massages to the adjustments, I always feel that my needs are first and foremost. I attribute my ability to maintain an active life to Dr. Goodkin and his team and am thankful to have found such a caring and dedicated chiropractic firm. On February 3rd 2014, I was struck by a car while riding a motorcycle in Miami Fl. I was rushed to Ryder Memorial hospital where I almost had my foot amputated. After several months of wearing an external fixator, I started going to therapy. After several months and several operations, I was having a lot of problems walking. My doctor then referred me to Dr. Paul S. Goodkin DC, PA, Chiropractor in Fort Lauderdale Florida. With his help I started feeling relief right away after each visit. I am on my way to walking better every day. By putting your trust in Dr. Goodkin you will be making one of the best decisions in your life. Thank you again Dr. Paul S. Goodkin! Dear Dr. Goodkin: I would like to take a moment to express my gratitude to you. I recently injured my neck to the point where I could not sleep or even turn my head to the right. You and your staff were very accommodating and got me into the office almost immediately. Once I made it to the table you discovered that I was suffering from a bulging disc. After some careful diagnostics you were able to adjust me and I instantly felt significant relief from the pain. After two more visits to your office, I am totally pain free and full motion has been restored to my neck. Your professionalism and care have truly made a difference in my life. The only way I could possibly re-pay you is to tell others my story and hopefully they will make the same call I did. Many thanks to you Dr. Paul! I have chronic neck issues, but still love to work out hard and engage in many physical activities. Dr. Paul makes it possible for me. He is always there to “straighten me out”. His healing touch is always accompanied by a warm smile and a positive attitude. He is dedicated to creating the best health for his patients. I’m living proof. And as a hard-core athlete himself, he truly understands. Thanks for all you’ve done for me! 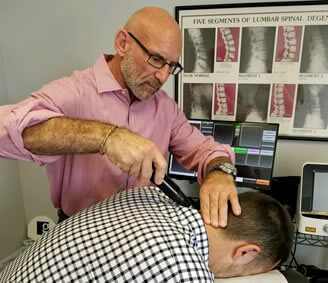 Chiropractors make use of hands-on spinal manipulations and various alternative spinal treatment to properly align the body’s musculoskeletal structure, most especially the spine; it’s believed that if these are achieved, the body is going to heal itself without undergoing any medication or surgery automatically. The question is, do chiropractors really work? It’s been proven that spinal manipulation is capable of relieving specific kinds of neck pain, back pain, and several other musculoskeletal symptoms, however though, there’s been no scientific evidence linked to chiropractic treatments restoring or maintaining health. But you should know this, if you’re receiving, or at least, contemplating chiropractic care, it’d really help to protect not only your pocket but your health. When should chiropractic treatment be discontinued? Chiropractic treatment should be discontinued if you feel you’re already free of symptoms or if you notice you’re not experiencing any major improvement. Undergoing spinal manipulation for the fun of it is not advisable. Seek treatment only when it's needed, and that’s why the folks at Fort Lauderdale Chiropractor never do a guess-work. Instead, they run a test on you to see where the problem lies before proceeding to give you an appointment. I guess this and several other reasons are why they’re one of the best, if not the best chiropractors in Fort Lauderdale. Chiropractic adjustment often referred to as spinal manipulation, manual manipulation, or chiropractic manipulation. This practice is a 100% safe option to help relieve neck and back pain while improving general physical functions. Chiropractic adjustment almost never hurts, adjustment to some joints in the spine area or the spine may feel slightly uncomfortable due to pressure. However, once this adjustment has been performed, you shouldn’t experience any pain. Generally, patients do enjoy the soothing feeling of being adjusted. Are you looking for the best chiropractic center in Fort Lauderdale? Then you should consider Fort Lauderdale Chiropractor as they’ve got the best chiropractic center in the whole of Fort Lauderdale. How often does one need to see a chiropractor? In only a few sessions, experienced chiropractors can treat common neck and back pain; however though, sometimes, it may take more frequent and more extended visits depending on the underlying factors and condition of the patient. 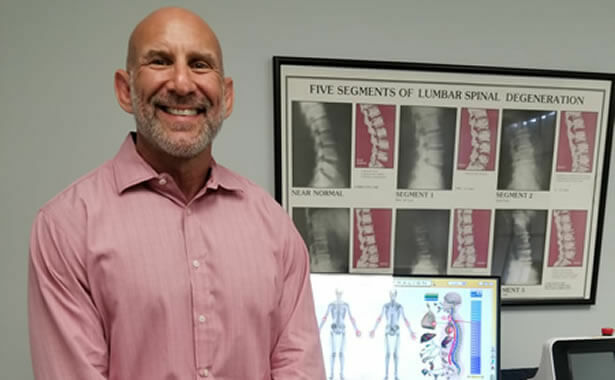 If you need professional chiropractors in Fort Lauderdale, then you should consider visiting Fort Lauderdale Chiropractor . Is there any difference between a chiropractor and a physical therapist? Although both physical therapists and chiropractors are both professionals in diagnosing and treating patients, they, however, have some differences in their area of operation. Chiropractors are experts in spinal manipulation & adjustments, which includes joint adjustments and soft tissue manipulation. The patient and any other person responsible for payment has a right to refuse to pay, cancel, or be reimbursed for payment for any other service, examination or care which is performed as a result of and within 72 hours of responding to the advertisement for the free, discounted fee, or reduced fee service, examination or care.